The Wöhr® open frame module (WOF) is particularly suited for the installation of displays with customized processing and adaption to predetermined circuit boards, controllers and other electronics components. For some years now, the profound know how in development and production of single components e.g. 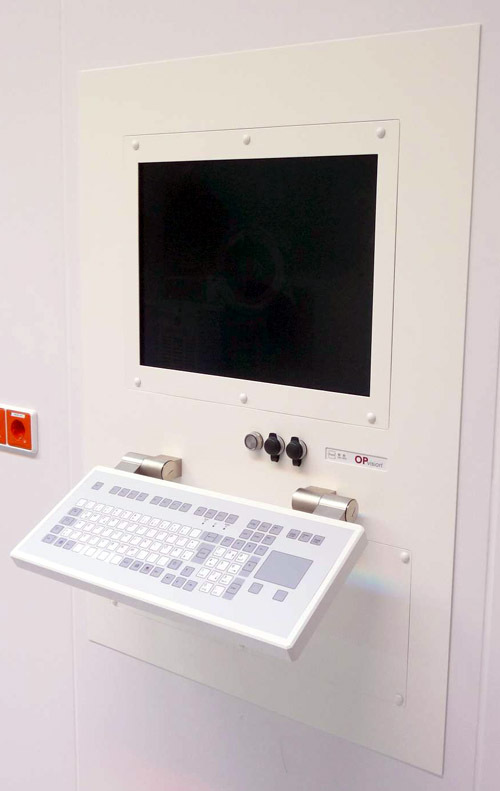 enclosures, mechanics, keyboards, surface finishes and printing had been used by the Richard Wöhr GmbH also successfully in the field of systems technology. Here the family company develops, produces and sells complete input-, operating-, control- and monitoring systems, which, due to their high IP protection classes and their easily cleanable surfaces, are suitable especially for harsh industrial environments or hygienically sensitive areas. Take advantage of our longstanding competence, when it comes to tailor-made solutions. Please send your inquiry with the information of the desired monitor size to the following mail: WOF@WoehrGmbH.